Product categories of HDI Multilayer Flexible PCB, we are specialized manufacturers from China, Multi-Layer Flex PCB, Multilayer Flex Circuits suppliers/factory, wholesale high-quality products of Multilayer Flex PCB R & D and manufacturing, we have the perfect after-sales service and technical support. Look forward to your cooperation! 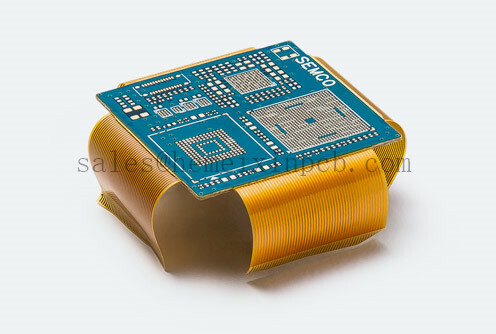 With inventions like Hemeixin PCB strate and the plasma-etched microvia, Hemeixin PCB is an enduring pioneer of flexible multilayer HDI (high-density interconnect) and Ultra-HDI boards. We are empowered by an unquestionable commitment to serve this business segment. As a technology frontrunner, Hemeixin PCB is equipped to cope with cutting-edge design requirements and the most demanding quality standards as applied in the medical and defense industries.